Wildfire. Flooding. Thirst. These issues can all be addressed through large-scale landscape restoration, according to speakers at the 2015 Janet Meakin Poor Research Symposium. Addressing a crowd of regional stewardship professionals and academics, as well as Conservation Land Management (CLM) and Research Experiences for Undergraduate (REU) interns at the Chicago Botanic Garden on June 12, they focused on solutions for ecological challenges. The effects of strong conservation work are magnified when done on a large scale, they shared, and the theme of the day was how to magnify every step from seed-management procedures to restoration time frames and budgets to make the process as beneficial as possible. As mining, drilling, and similar industries move broadly across open lands in the United States and abroad, along with increasingly frequent and far-reaching extreme weather events, conservation practices must evolve with the times to keep pace. 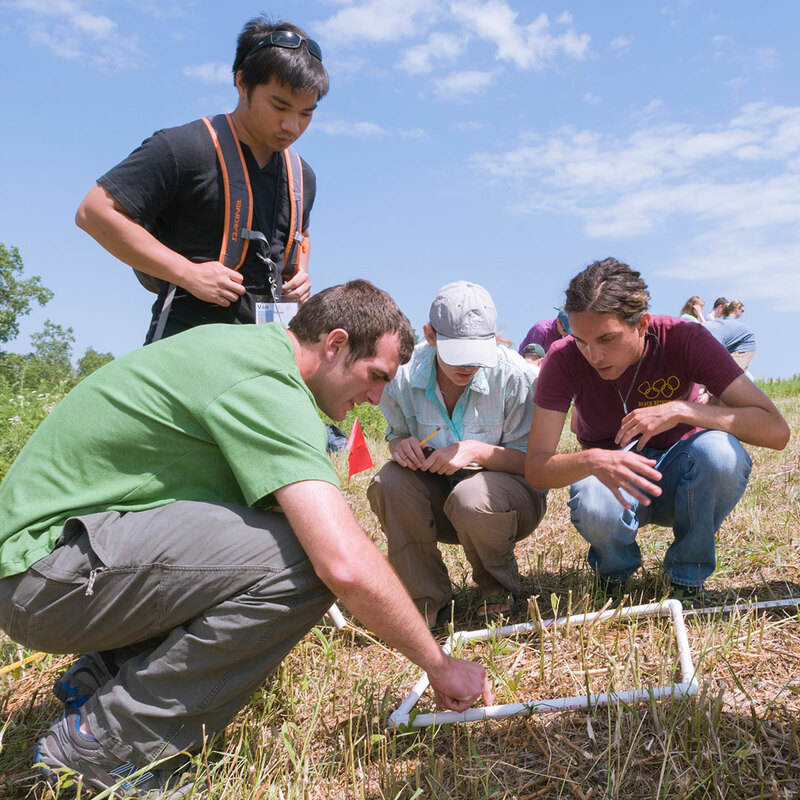 Conservation and Land Management (CLM) interns measure species density in the field. As the CLM interns prepare to set off on a summer of hands-on restoration work across the United States, and potentially launch their careers shortly thereafter, these are critical issues for them to understand, according to Kay Havens, Ph.D., of the Chicago Botanic Garden, who organized the symposium. Many of the interns work in partnership with the Bureau of Land Management (BLM) on the ground in forestry, wildlife management, and habitat restoration, among others. Fittingly, the first speaker of the day was Amy Leuders, the acting assistant director of BLM, who noted that the partnership with the Garden since 2001 has led to the training, hiring, and placement of more than 1,000 interns on federal lands. About 50 percent of those interns are later hired by a stewardship agency. “The Bureau of Land Management has had a long and successful partnership with the Chicago Botanic Garden…developing the next generation of land stewards,” she said. In particular, she imparted to the audience the importance of developing a large scale national seed strategy, so that targeted plant seeds will be thoughtfully collected and preserved for future use. She cited examples of events in which seeds saved by chance allowed for the restoration of areas that later succumbed to natural disasters like wildfires and hurricanes. This new process would allow for seed saving to take place in a more proactive and calculated manner. 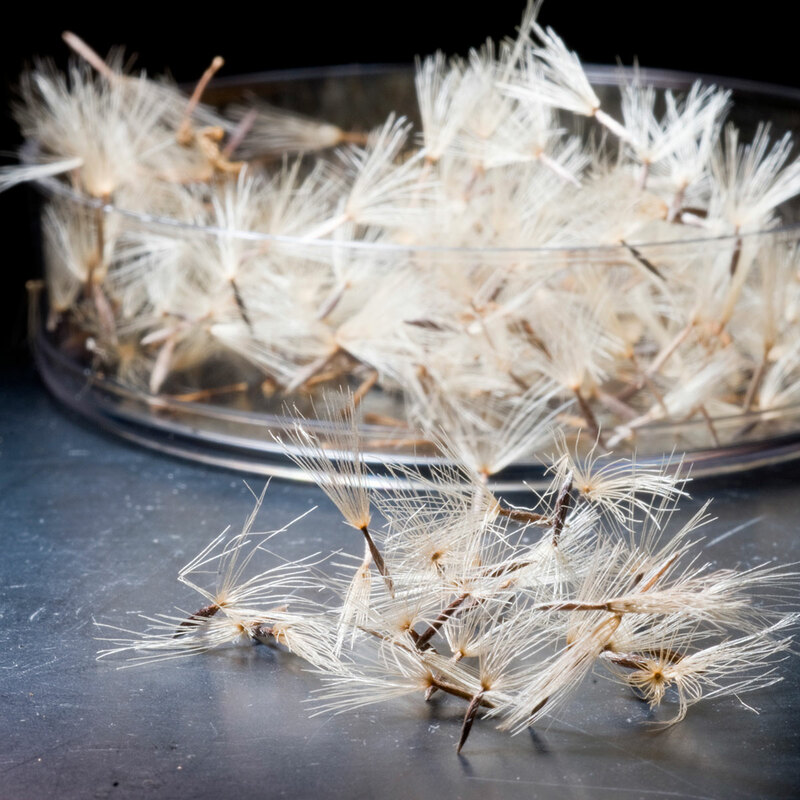 Collected seeds are stored in the Dixon National Tallgrass Prairie Seed Bank. Drinking water quality can also be managed by restoration, said Joy Zedler of the University of Wisconsin-Madison. She shared examples of how restoration has been “scaled up” adaptively (learning while restoring) to benefit large areas. When it comes to managing water, she explained, it is essential to manage an entire watershed. One area of poor water quality will flow into every crevice in the system, for example. In the end, she explained, it is about safeguarding ecosystem services that human health and wellbeing depend on, from clean water to fresh air. “Our global society needs to redirect itself to achieve a sustainable future,” she said. Brian Winter of the Nature Conservancy in Minnesota echoed her sentiments, as he ran through a real-life wetland restoration process for the audience. He emphasized that wetlands hold rainwater and are capable of preventing disastrous amounts of water from washing through nearby agricultural fields. The value of wetland restoration is immense and ongoing, he explained. Conservation is in transition, explained speaker John Rogner of the U.S. Fish and Wildlife Service. Rogner discussed the steps involved in planning for a successful restoration, and the importance of landscape conservation cooperatives that can work together across states or even countries to identify and address issues in a given geographic area such as the Great Lakes watershed. He outlined an ongoing project to improve blockages in the Great Lakes system that impede fish migration. 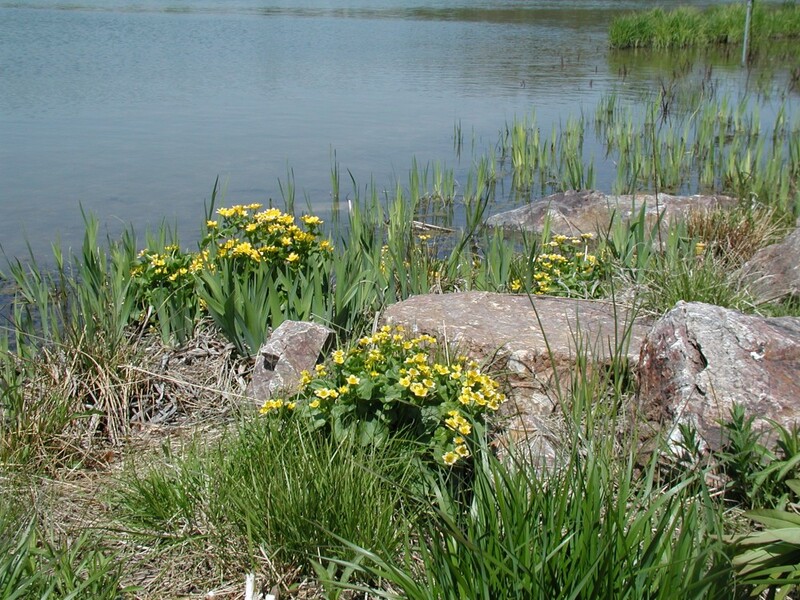 This can lead to a buildup of invasive plant species that create additional system blockages. A regional perspective and collaboration across entities is critical, he said. “It is absolutely essential that everyone have access to the same information to keep moving in the right direction,” added Rogner. Issues that often fall to the side in planning are conceptual, according to James Aronson of the Missouri Botanical Garden. He urged the audience to pay attention to the economic side of their work by learning to speak and think in terms of renewable natural capital. Across land and ocean, natural capital can be restored to facilitate the flow of ecosystem services such as fresh air and clean water. One of our greatest national resources and treasures: the Colorado River Basin. Lastly, Megan Haidet with Seeds of Success emphasized the importance of partnerships to meet the goals of the Bureau of Land Management’s National Seed Strategy for Rehabilitation and Restoration 2015–2020. She noted that increased coordination is vital to accelerate the pace and scale of restoration and provide native plant materials when and where they are needed. The Garden’s CLM interns have now dispersed across the United States, where they will work for the next five months on public lands to put these lessons into action. The dress rehearsal is complete, spring is preparing to turn on the lights, and within a few weeks the curtains will go up on the Chicago Botanic Garden’s newest shoreline restoration—the North Lake. 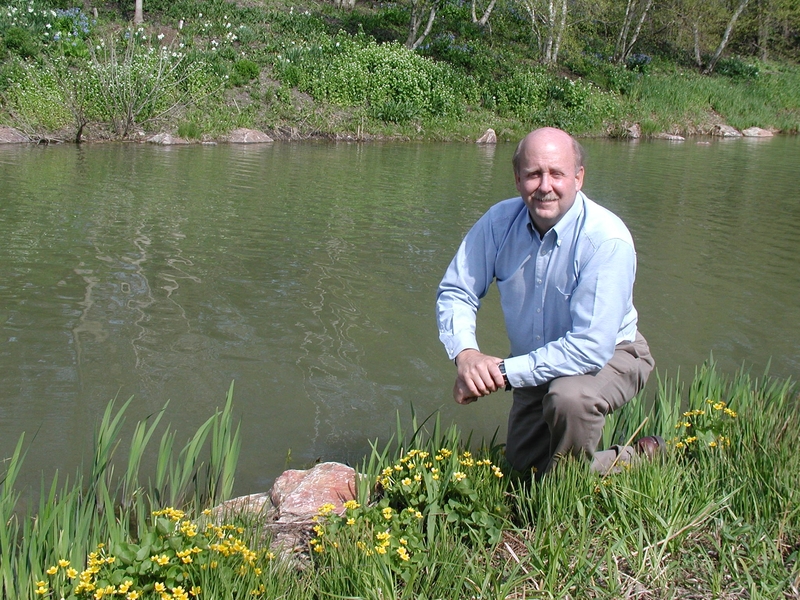 According to Bob Kirschner, Woman’s Board Curator of Aquatic Plant and Urban Lake Studies, the project that began in 2010 will come to full fruition this year. “One of the most important details is the maintenance and management after it is installed,” he said. Since the restored North Lake was dedicated in September 2012, its 120,000 native plantings have been busy growing their roots as far as 6 feet deep into the soil, trying to establish themselves in their new home. The process has been all the more tenuous due to the barrage of extreme weather during that time, from droughts to floods to the deep freeze. Bob Kirschner was trained as a limnologist, or freshwater scientist. “The first few years after a large project is installed, we’re out there babying the native plants as much as we can because these plants are serving an engineering function,” said Kirschner, who explained that plant roots play an integral role in the long-term stability of the shoreline and are essential to the success of the entire restoration. The Garden’s lakes were rough around the edges when Kirschner arrived 15 years ago. Wrapped in 60 acres of water, the land was eroding where it met the lakes. Although the Garden could have surrounded the shores with commonly used barriers such as boulders or sheet piling, Kirschner advocated another route. Why? In the long run, the shoreline becomes relatively self-sustaining. In addition to preventing erosion, it offers habitat for native wildlife such as waterfowl and turtles, and filters water to help keep it clean. When the plants flower, a shiny bow of blooms wraps all of those benefits up in a neat package. The North Lake shoreline restoration surrounds the Kleinman Family Cove. For many Garden visitors, a stop at the shoreline is inspirational. “We’re trying to help them visualize that native landscapes can be created within an urban context to be both beautiful and ecologically functional at the same time,” said Kirschner, who counts on the attractive appearance of the plantings to open conversations about restoration, and how individuals can generate similar results. “When thoughtfully designed, you can have both the ecology and the aesthetics,” he added. 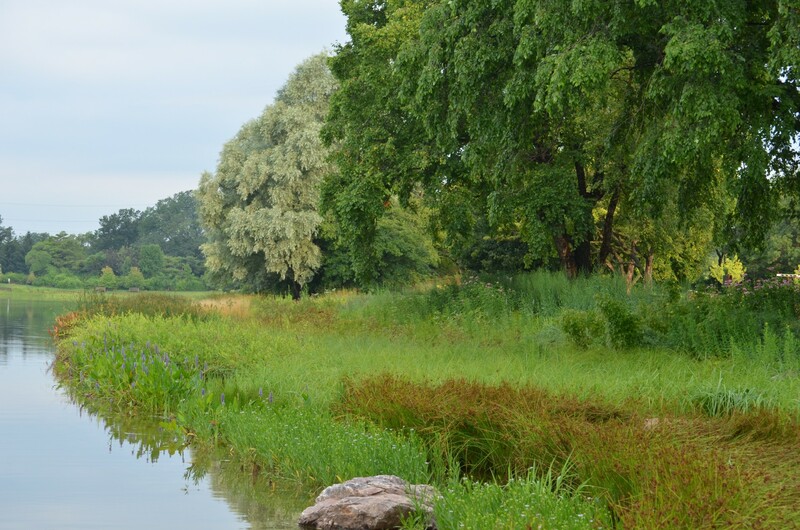 It was this concept of incorporating the art and science of restoration in a public setting that brought him to the Garden in the first place, after more than 20 years as an aquatic ecologist with Chicago’s regional planning commission. 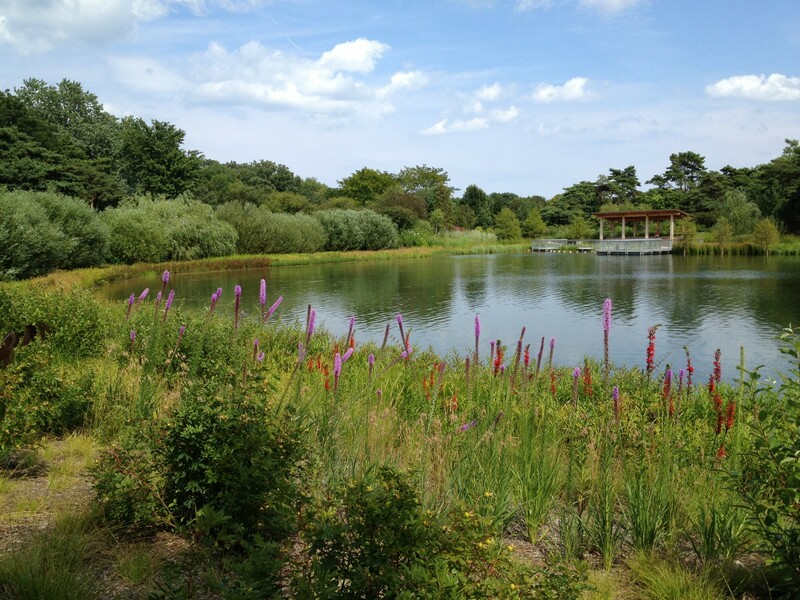 Kirschner, who is also the Garden’s director of restoration ecology, has managed six Garden shoreline restorations incorporating a half-million native plants. Marsh marigold is a harbinger of spring. He and his team know where all of the plants are, and they track them over time to identify those best suited for urban shoreline conditions. His favorites include sweet flag (Acorus americanus), common lake sedge (Carex lacustris), swamp loosestrife (Decodon verticillatus), and blue flag iris (Iris virginica). Perhaps the most exciting of them all is marsh marigold (Caltha palustris), the first shoreline plant to bloom each spring. Natural areas comprise 225 of the Garden’s 385 acres. Drifts of native plants are a hallmark of the Garden’s restored shorelines. The North Lake was his last major shoreline restoration for the time being. He is looking forward to taking a breath of fresh air and enjoying the show this spring. “It should be really interesting to watch how this year progresses,” he said. Because the long winter may mean a compressed spring, he said the blooms could be that much more intense once they begin in about May. “Every day when we come to the Garden, the plants will be noticeably bigger than they were the day before,” he anticipated. When Kirschner finds a moment for reflection, he wanders over to the Waterfall Garden, where he enjoys serenity in the sound of the rushing waters, and walking the two staircases that invite discovery along the way. As plant enthusiasts, we often focus on how plants are affected by their environments. Their growth is affected by weather, water, nutrients, etc. But the plant-environment relationship is a two-way street, and plants can have a strong influence on the habitats they live in. We might experience this by walking in a forest and feeling ground beneath our feet that is spongy from the buildup of slowly decaying leaves that accumulated over decades or centuries. The trees in such a forest have “engineered” their environments, changing the very ground beneath them in ways that are beneficial to other plants, to animals, and to ecosystem functioning. Unfortunately, we can also experience negative engineering effects of plants on their environments when we visit natural areas throughout the Chicago region and beyond that have been heavily invaded by the nonnative common or European buckthorn (Rhamnus cathartica). Buckthorn was brought to the Midwest for ornamental use—it’s great at making hedges—but escaped from human control and is now one of our region’s worst invasive species. As its hedge-producing credentials suggest, buckthorn is good at forming dense, shady thickets. 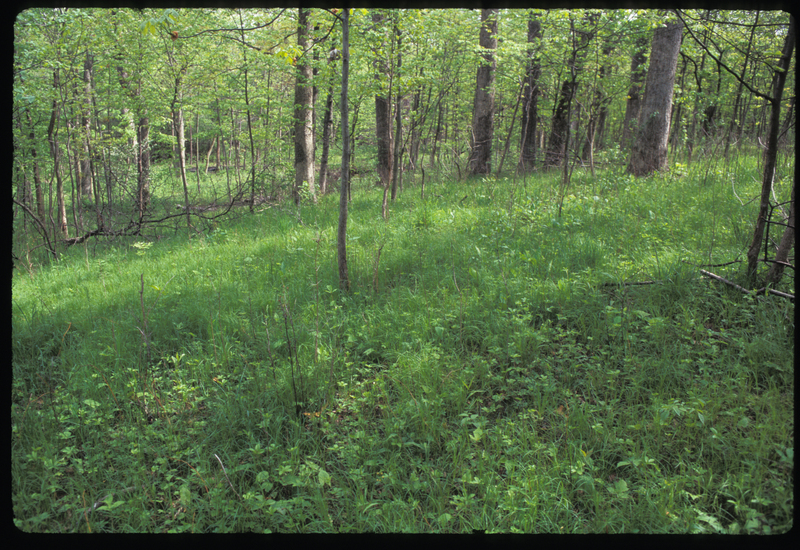 These thickets have been shown to harm native plants and wildlife and to change physical, chemical, and soil conditions where they occur. Where there once may have been an open oak woodland underlain by a thick carpet of grasses, sedges, and wildflowers, we now often see an uninviting tangle of shrubs with little other than bare soil beneath them. 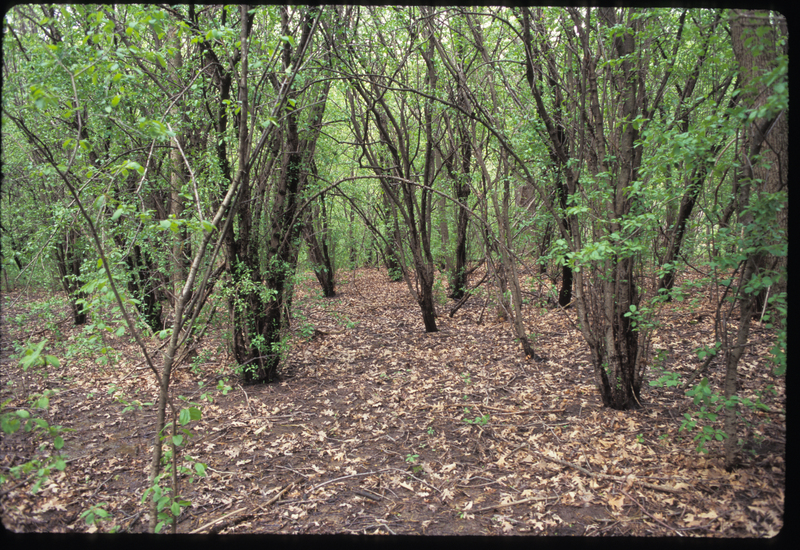 …got me and my colleague Jim Steffen wondering whether the ability of woodlands to perform carbon-storage ecosystem services could be impaired by buckthorn invasion. If so, could restoring impacted habitats back to native woodland vegetation return these services? Some background: Ecosystem services are essentially benefits nature provides to humans (e.g., clean air and drinking water, food, and other resources). Sequestering carbon—removing it from the atmosphere where it contributes to global climate change and instead locking it away harmlessly for potentially hundreds of years—is one such service. Steffen’s more than two decades of work removing buckthorn from the Garden’s Mary Mix McDonald Woods and restoring native plant species had created the natural, long-term experiment we needed to answer these questions. We had access to areas still dominated by buckthorn for use as control treatments and patches of restored woodland of various ages that had previously been dominated by buckthorn (this is called a “restoration chronosequence”). And we had human capital to put to work: Rachel (Hesselink) Gentile and Chad Zirbel, who participated in the Garden’s Research Experiences for Undergraduates program (funded by the National Science Foundation) in 2009 and 2010, respectively. Gentile and Zirbel, in turn, mentored College First high school students Alan Lane and Kassandra Altantulkhuur. So why did we think that buckthorn’s engineering of its environment might reduce carbon storage? Why not increase it? Mainly because of all the missed opportunities for carbon sequestration represented by the vegetation that buckthorn displaces: countless individuals of hundreds of species of understory plants, plants that make their living by drawing in carbon dioxide from the atmosphere. During photosynthesis, this captured CO2 is transformed into plant biomass, which occurs largely underground, in a complex tangle of fine, deeply penetrating roots that interact with the soil to produce tough, carbon-based compounds that are very slow to cycle back to the atmosphere. Not incidentally, all of these living understory plants and their deceased brethren (dead plant material is called “litter”) could help stabilize the soil, so that captured carbon would be less likely to wash away in thunderstorms and spring thaws. What did we find? That buckthorn-dominated areas were indeed bad at storing carbon and that restored areas got better as they got older. Restored patches had lower rates of erosion and higher concentrations of persistent organic carbon in their soil. As restored areas matured, their vegetation continued to rebound, with plant diversity and litter biomass increasing over time. This maturation of the plant community was matched by steady increases in soil-carbon accumulation. But wait, what about those thickets we see? Surely all that wood must be good for storing carbon? Not so much. We calculated wood biomass by measuring hundreds of trees. Even though restoration involved cutting down a lot of buckthorn, it actually led to a net increase in wood biomass, an increase that was also positively correlated with restoration age. Buckthorn’s thickets may look impressive, but its trunks and branches are puny compared to most trees, there is (almost) “no there there.” We think that taking out buckthorn may have freed native trees that can really get big, like white and red oaks, to better reach their growth potential. In addition to the well-recognized benefits to biodiversity from active, long-term woodland restoration, our work and that of other scientists shows that there can also be tangible benefits to society. You can learn more about this research in our manuscript recently published in the journal Restoration Ecology. And you can expect to see further interesting work from Gentile (now pursuing a Ph.D. in ecology at Notre Dame), Zirbel (pursuing his Ph.D. in ecology at Michigan State), Lane (an undergraduate at DePaul University), and Altantulkhuur (attending the University of Illinois at Chicago). Stranded, a purple coneflower stretches up from an unplowed slice of Minnesota grassland, signaling for help like a shipwrecked sailor on a desert island. Separated from its lifeline — a native prairie filled with plants and pollinators — it illustrates a widespread threat to the entire species. This specimen arises with a few relatives from a remnant bound by railroad tracks and row crops. 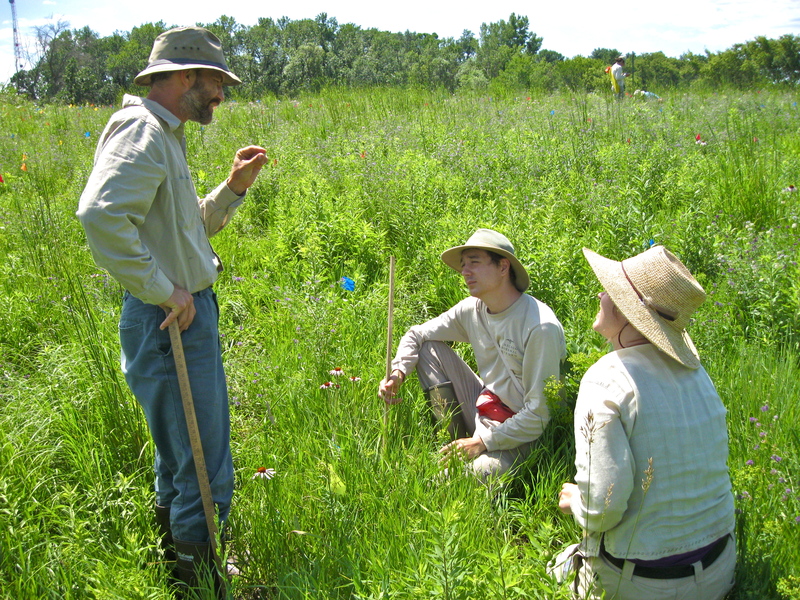 It is one of 27 study sites in Douglas County, Minnesota, evaluated each year by Stuart Wagenius, Ph.D., senior scientist at the Chicago Botanic Garden. Although this plant may survive many more years, he says, it is unlikely to produce offspring due to its isolation. This is serious trouble for a species that relies on a habitat that has already dwindled to 1 percent of its original size. Despite having been scraped by a snowplow the prior year, this roadside plant bore the most heads seen during a long-term study. His research focuses on Echinacea angustifolia, or narrow-leaved purple coneflower, a prominent prairie species native to Minnesota. Begun as his doctoral research project in 1996, it has since become a lifelong mission. He wants to create an improved habitat for existing plants, and increase the species’ ability to reproduce and thrive. Each year, he watches the plants on his study sites for damage from a triple-edged sword—pollination, genetic, and ecological issues. When the prairie stretched from horizon to horizon more than 100 years ago, Wagenius explains, a bee could have flown endlessly from flower to flower, carrying and delivering pollen. Are these insects still able to do their job? Wagenius’s research has shown that the coneflowers continue to receive adequate visits from native bees. In fact, as he gave me a tour of his lab, he showed me an impressive collection of preserved sweat bees—small, emerald-green locals who have not succumbed to the plight of so many bees like the nonnative honey bees. 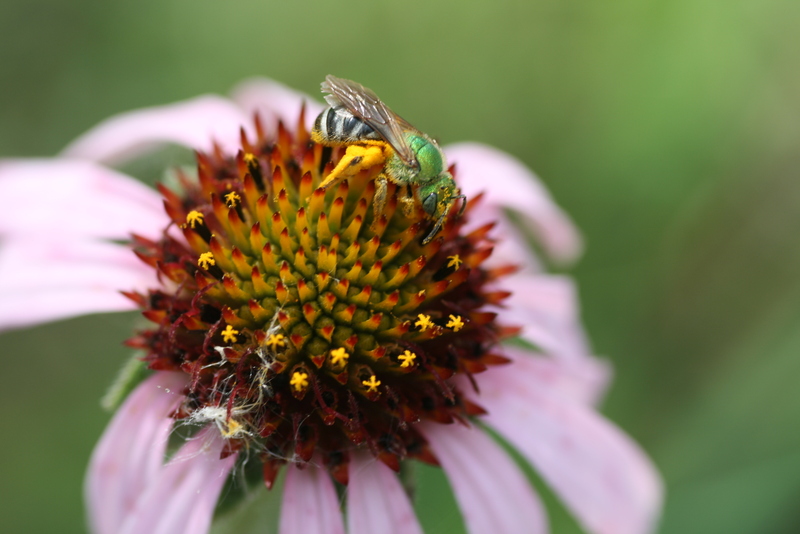 A native sweat bee collects pollen from a purple-leaved coneflower. Instead, the problem is that the bees can only carry pollen so far. When they have few plants to work with in a small area, the pollen they deliver is not always accepted by the recipients. 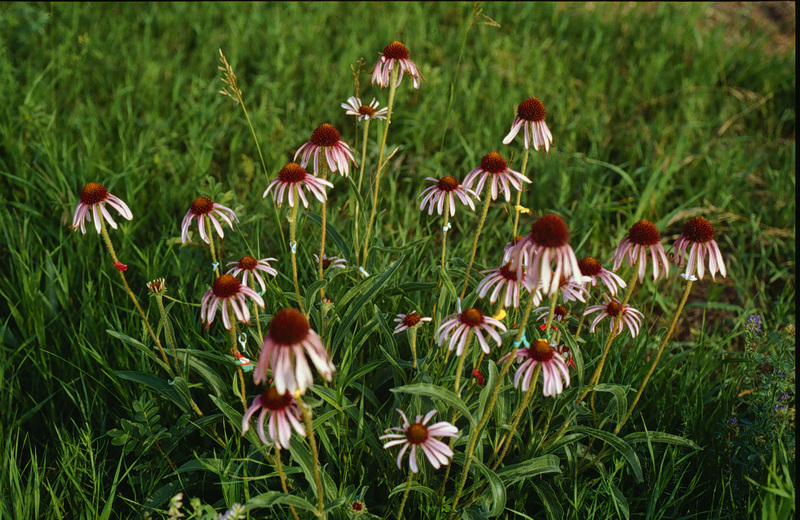 After a few generations, Wagenius explains, all of the coneflowers in a small prairie become related, sharing pollen and some of the same genes. Then, if a bee delivers pollen with the same genes as the recipient plant, the pollen is likely to be rejected. In that case, no new seeds would be produced and no new generation of coneflowers would exist. “Studying the genetics has offered some pretty good insight into what is going on in these small populations,” he says. If related pollen is accepted, inbreeding can occur, which often results in weak offspring. Both issues diminish prospects for future generations. Larger prairies are one potential solution to this problem. The other, Wagenius has found, lies right at his feet. Wagenius and students discuss the discovery of a fly larva found eating pollen on a plant. In the past, natural fires on the land encouraged plants to flower, leading to new mating opportunities and refreshing local genetic diversity. Development meant the end of most of those fires. So, Wagenius and his team encourage trained land managers to restore fire through controlled burns. When Wagenius returns to fieldwork this June, he plans to start with a blaze. He will conduct such a burn on a private landscape to increase the number of flowering plants and improve their chances of successful pollination and seed production. To begin fieldwork, he will meet on one of the larger study sites with his academic collaborators—including his wife Gretel, who is a botanist, and graduate and undergraduate students. His stay will be long enough that his other family members will join him there. Researchers count leaves in a plot where 10,000 individual specimens were planted. During fieldwork, he and his crew will measure the length and width of the leaves on each plant, and collect seeds that are later counted by Garden volunteers in a laboratory at the Daniel F. and Ada L. Rice Plant Conservation Science Center. These characteristics help document the fitness of the plants. He will also compare the size of each preserve to the number of incompatible coneflower mates by studying the plants’ genetic patterns. In addition, Wagenius will meet with local land managers and organizations to share advice on effective techniques. For example, he has suggested a controlled burn rather than plowing and replanting. “I’m glad to promote good conservation practices,” he says. “I study habitat fragmentation and its consequences,” says Wagenius. Watch a video and learn more about his work. This summer, a vision of hope rather than hopelessness will accompany Wagenius as he stands on the prairie with his research team and, well, a few relatives.